Silicon Motion, Inc controllers shipped in 30% of the world's SSDs last year. 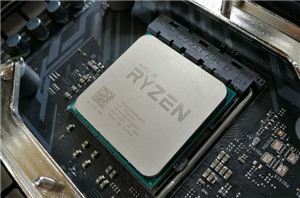 The company had a successful entry into the consumer SSD market and within just five years is ready to challenge Samsung for the performance crown. The SM2262EN supports existing and next-generation flash memory with speeds of up to 800MT/s per channel. The 8-channel controller is also a drop-in replacement for existing SSDs designed around the SM2262 controller. A powerful 4th generation LDPC engine provides the robustness to support next-generation QLC memory as well as the 96-layer TLC coming to market in 2019. We've learned from manufacturers that the SM2262EN already has design wins. 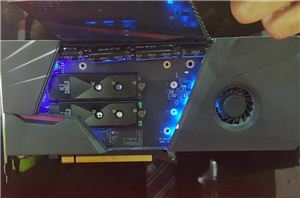 Adata plans to update the SX8200 with a new model in the same 8000 series family using the controller. It's easy to see why companies plan to launch products with the new controller. SMI's internal testing shows the drive outperforming the Samsung 970 Pro in several key 4-corner tests and, unlike the 970 Pro, partners plan to launch 2TB models to gain market share in the void. 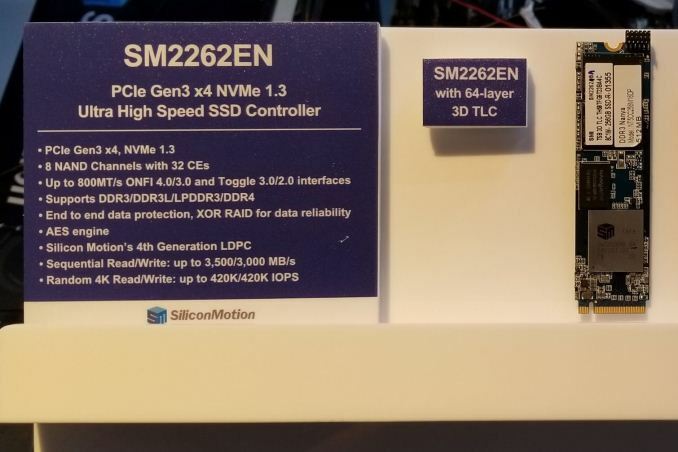 If Silicon Motion's partners are able to meet or exceed the current mainstream NVMe price points where the SX8200 and EX920 reside, this will be a very popular controller for our readers. Chris Ramsayer contributed to this article. 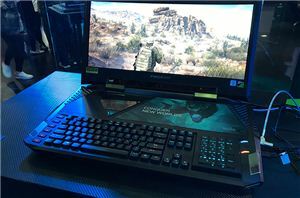 capacity up, price down, plug and play, little to no chance of throttling, "it can be done gentlemen, we have the technology"
Not only that, they used different measurements. For the top two Seq and 4k random multithreaded runs, SMI's benchmark was with Queue Depth of 64 ! 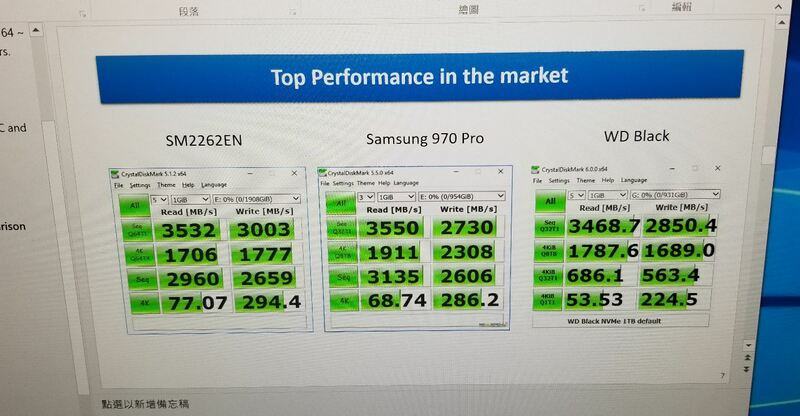 While Samsung 970 and WD Black was with QD = 8.